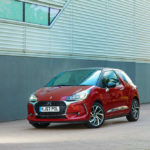 Huge sales of the DS 3 have helped forge the philosophy of the whole DS range, showing that the French brand delivers chic design and personalisation choices. This MINI rival offers extra space for luggage and passengers, but still boasts fun handling, an upmarket interior and a range of frugal engines. 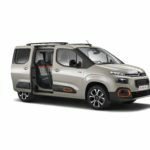 The new Citroën Berlingo van is now available to order in the UK, with prices starting from £15,825 MRBP. The new Berlingo Van is equipped with 20 driver assistance technologies. 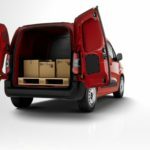 Available in two sizes (M and XL), the new Berlingo Van comes in four trim levels (X, Enterprise, Worker and Driver). The new LCV range features an Overload Indicator, Surround Rear Vision and latest-generation diesel engines, including the 1.5-litre BlueHDi 130 S&S with EAT8 automatic gearbox. 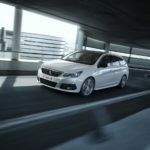 PureTech petrol engines will be available in 2019. On July 1st DS Automobiles is making another significant step forward as a new brand. From this moment, DS Automobiles will solely be represented in the UK by a DS dedicated network of DS Stores and DS Salons in selected prominent locations to welcome prospective customers. The complete DS model range (DS 3, DS 3 CABRIO, DS 4, DS 4 CROSSBACK, DS 5 and DS 7 CROSSBACK) will now only be available for order through the new DS dedicated outlets. Citroën has revealed the European version of its flagship new C5 Aircross SUV as the brand continues its international SUV offensive. The new-generation SUV features an all-new personalisation offering with 30 exterior colour combinations. Citroën says the C5 Aircross SUV is the most comfortable model in its segment, thanks to the Citroën Advanced Comfort programme, Progressive Hydraulic Cushions suspension and Advanced Comfort seats. 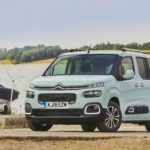 Citroën has introduced the C4 SpaceTourer and Grand C4 SpaceTourer to its UK line-up. This follows the brand’s announcement at the Geneva Motor Show that the SpaceTourer nomenclature would replace the Picasso name from May 2018. 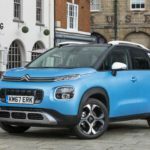 Citroën UK will also introduce a new BlueHDi 160 S&S Diesel engine – paired with a new EAT8 automatic gearbox – to both the C4 SpaceTourer and Grand C4 SpaceTourer from 1 June 2018. This will be the first time this new engine and gearbox combination will feature in the Citroën range. The C4 SpaceTourer and Grand C4 SpaceTourer BlueHDi 160 S&S EAT8 will be priced from just £27,550 OTR and £29,250 OTR respectively.